Incredible shopping paradise! 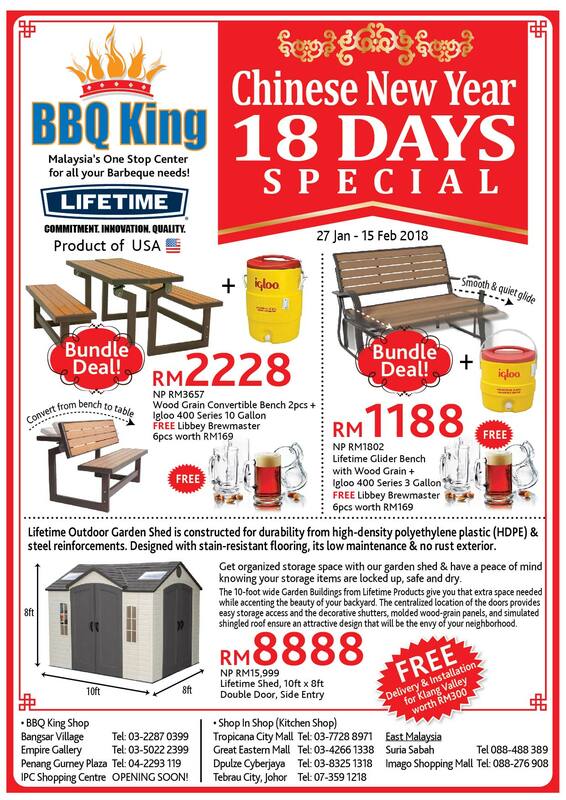 Newest products, latest trends and bestselling items only from BBQ King Chinese New Year 18 Days Special Sale! Available at BBQ King and Shop in Shop ( Kitchen Shop) . Click HERE to find our nearest outlet to you .